Peyton Greenside , who is working in the research group of Emma Bunskill, an assistant professor of computer science, is focusing on computational methods to optimize synthetic DNA sequences. Greenside earned a PhD in biomedical informatics at Stanford in 2018. Xiwen Gong , who is working in the research group of Zhenan Bao , a professor of chemical engineering, is focusing on developing organic semiconductors, with potential applications such as LEDs and artificial skin. Gong earned a PhD in electrical and computer engineering at the University of Toronto in 2018. Under the program’s Global Meeting Series , the fellows engage with new concepts, visit leading science facilities and meet with internationally renowned thought leaders from science, business, policy and society. Each meeting has a specific theme designed to expand the scope of experience and skill sets of the fellows, and to augment their research. “We are honored that Stanford is part of this pioneering program and we look forward to hosting the fellows at Stanford,” said Patricia J. Gumport , vice provost for graduate education and postdoctoral affairs, and a professor of education at Stanford. 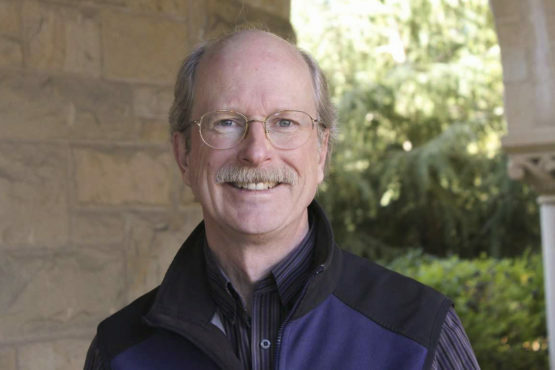 Professor John Boothroyd , the Burt and Marion Avery Professor of Immunology at Stanford School of Medicine, has been chosen as faculty director of the Stanford-based convening. Gumport said Boothroyd has extensive experience working with postdoctoral scholars. Megan Wheeler , executive director of Schmidt Science Fellows, said the program was thrilled to be visiting Stanford as part of its Global Meeting Series. The Schmidt Science Fellows program is part of Schmidt Futures , a philanthropic initiative founded by Eric and Wendy Schmidt. The program was established in partnership with the Rhodes Trust , which awards the prestigious Rhodes Scholarships.